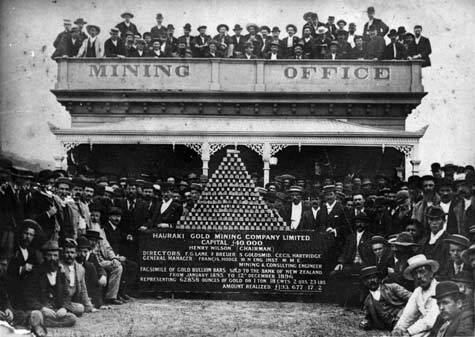 The gold bullion (a mix of gold and silver) bars in this pile are copies of the real bullion bars sold to the Bank of New Zealand by the Hauraki Gold Mining Company on Coromandel Peninsula. The bars represent close to two years’ production (1895 and 1896). In 2005 they represented about $29 million.